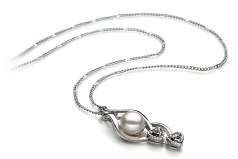 Timeless and classic, the White Freshwater Pearl Pendant hangs gracefully from the 17 inwhite bronze chain around your neckline and rest gently on near your collar bone. 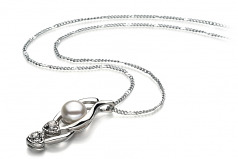 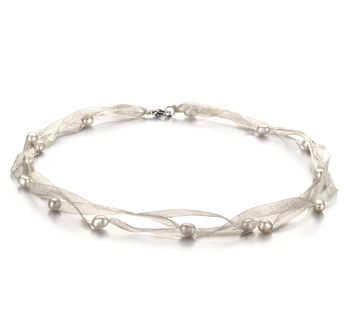 The exquisite lines of the pendant are streamers that surround a large 7-8mm white pearl. 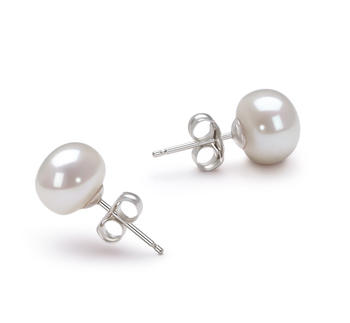 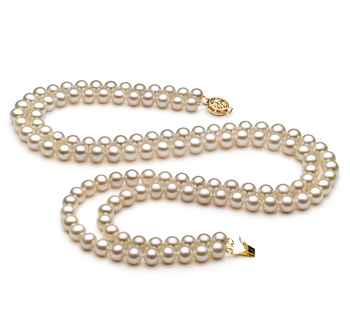 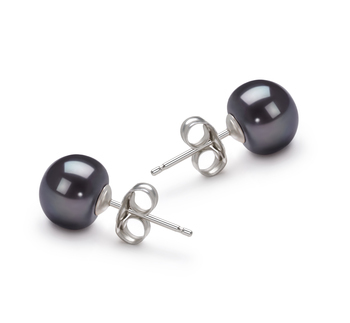 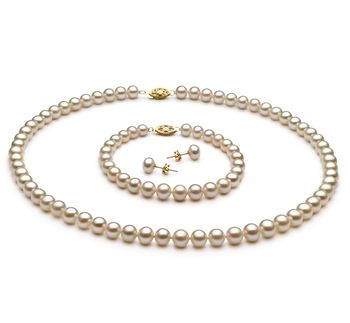 The AA out of round white pearls is situated comfortably between the streamers with an addition streamer white pearl appearing from behind the pearl and extending down one side. 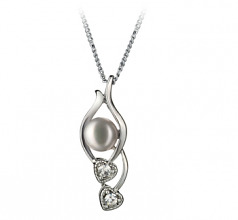 Two of the streamers leading down hold two hearts that are each adorned with a dazzling cubic zirconia accent. 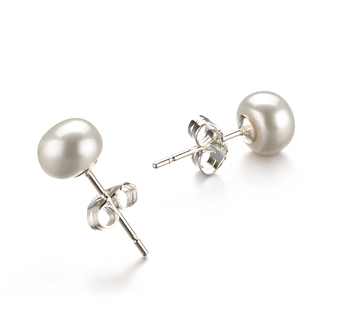 The AAA mirror like lustre of the White pearl leaves a sparkling surface over the pearl and radiating off the white bronze. The sparkle of the pearl combines with the dazzling nature of the cubic zirconia for a magnificent display of perfection.